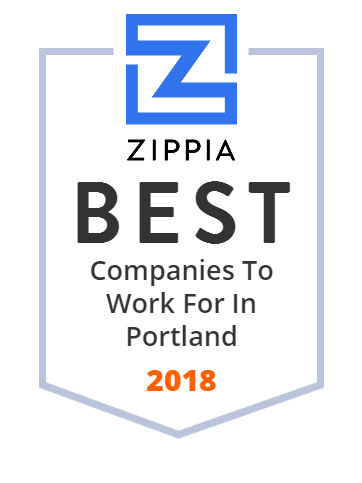 We hand-curated a list of the best companies to work for headquartered in and around Portland, OR using data on salaries, company financial health, and employee diversity. Being an industry leader in outdoor apparel and products, Columbia takes passion and an understanding of people who love the outdoors as much as they do. That's why, from cutting edge technology, to their innovative heritage in Bugaboo, our jackets, pants, fleece, boots, and shoes are all tested tough so you can enjoy the outdoors longer. Cambia Health Solutions' forward-thinking, innovative leadership team has a vast amount of experience in the healthcare industry, coming from a variety of disciplines and organizations across the United States. Together, they focus on the Cambia Cause to transform healthcare and create a person-focused, economically sustainable system. Although we all have unique stories and skills, the remarkable individuals who find their way to The Standard are united by their compassion extending far beyond courtesy to a genuine desire to help you meet your goals. They challenge themselves and each other to go above and beyond to serve you not as a number or a policy, but as a person. Erickson Incorporated provides aviation services to commercial and governmental entities worldwide. The company operates through three distinct segments: Commercial Aviation Services, Global Defense and Security, and Manufacturing and Maintenance, and Repair and Overhaul. It owns and operates a fleet of aircraft; and provides a range of aerial services, including critical supply and logistics for deployed military forces, humanitarian relief, firefighting, timber harvesting, infrastructure construction, and crewing. It also manufactures aircrane and related components; and offers aftermarket support services, as well as maintenance, repair, and overhaul services for the aircrane and other aircraft. In addition, the company leases aircrafts for specific missions. As of December 31, 2015, the company had a fleet of 74 aircraft consisting of 20 heavy lift helicopters; 47 rotor-wing aircraft; and 7 fixed-wing aircraft. The company was formerly known as Erickson Air-Crane Incorporated and changed its name to Erickson Incorporated in April 2014. Erickson Incorporated was founded in 1971 and is headquartered in Portland, Oregon. Mackenzie is a design firm that specializes in architecture, interiors, engineering, and planning. Locations in Portland, OR, Seattle and Vancouver, WA. Oregon Health & Science University is a public university in Oregon with a main campus, including two hospitals, in Portland. Because they're the kind of bank you'd take home to meet your parents. The kind of bank you 'd be proud to introduce to all your friends. Because when you choose them, you're choosing: A personal banking experience designed for your unique needs. A direct one-on-one connection to financial expertise. Access to simple, mobile banking, whenever and wherever you need it A bank that fits your life, not the other way around. KinderCare Learning Centers is an American operator of for-profit child care and early childhood education facilities founded in 1969 and currently owned by KinderCare Education. NW Natural founded a gas company. Their purpose was to bring gas lamps to Portland's streets, homes and businesses. On Jan. 7, 1859, they obtained a perpetual franchise from the territorial government to distribute gas. Weeks later, on Feb. 14, Oregon became a state. Today, more than 150 years later, NW Natural carries on the tradition started by Leonard and Green and the Portland Gas Light Co.